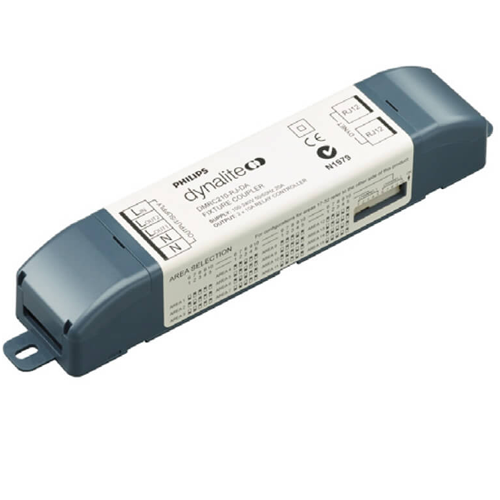 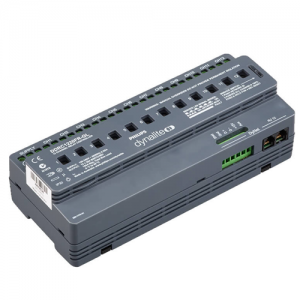 • Incorporates two relay outputs — Two independently controlled relay outputs designated for switching lighting loads. 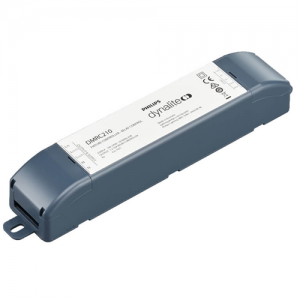 • Fully rated device — Suitable for large in-rush lighting loads. 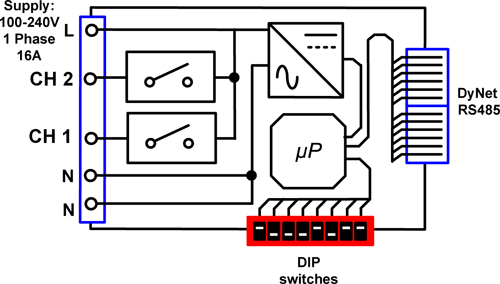 • Dipswitch configuration — Allows rapid set area configuration and provides out-of-thebox functionality without the need for a PC and software on-site. 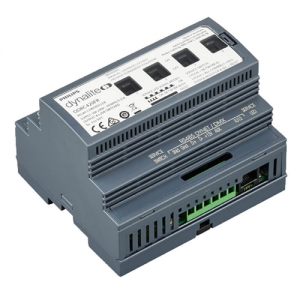 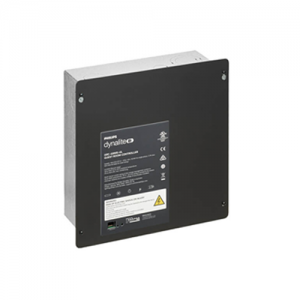 • Standalone or networked operation — Though programmed without PC software, the device can be integrated into a fully networked Philips Dynalite system when extra functionality is required.